Cats Only at BrayVet is a Veterinary Practice Member of the International Society for Feline Medicine. We have taken the steps to become a Cat Friendly Clinic which has a completely separate waiting room for cats, a separate hospital ward with large cat kennels for cats who have to stay in hospital and most importantly, very well trained staff who understand cats’ needs. The waiting room, for just cats, is truly calm and relaxing. Dogs never come in to the Cats only waiting room so there are no fearful stimuli such as dog smells. All these measures are taken to help cats relax. 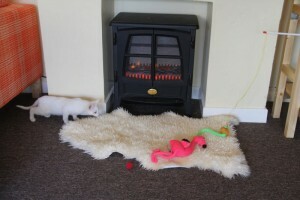 They can step out of their carrier and explore the waiting room which is set up as a living room home away from home. 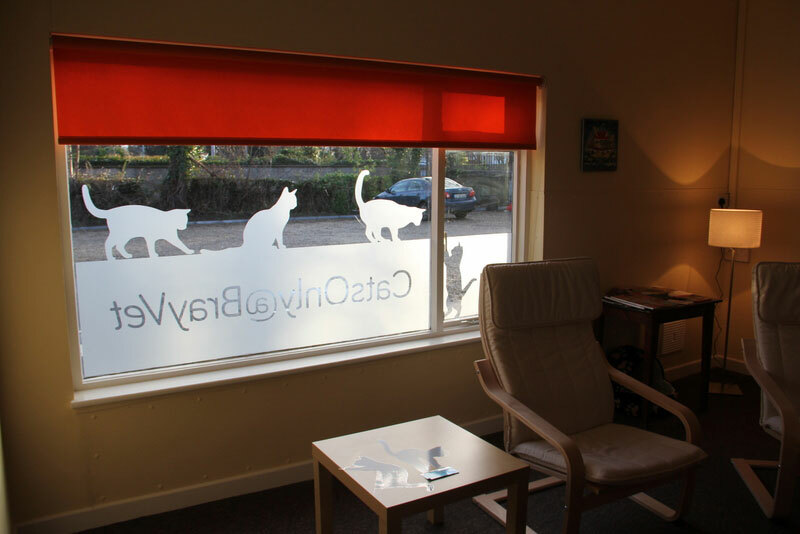 Cats are relaxed in our waiting room and the word repeatedly used by their owners to describe the experience is “calm “. 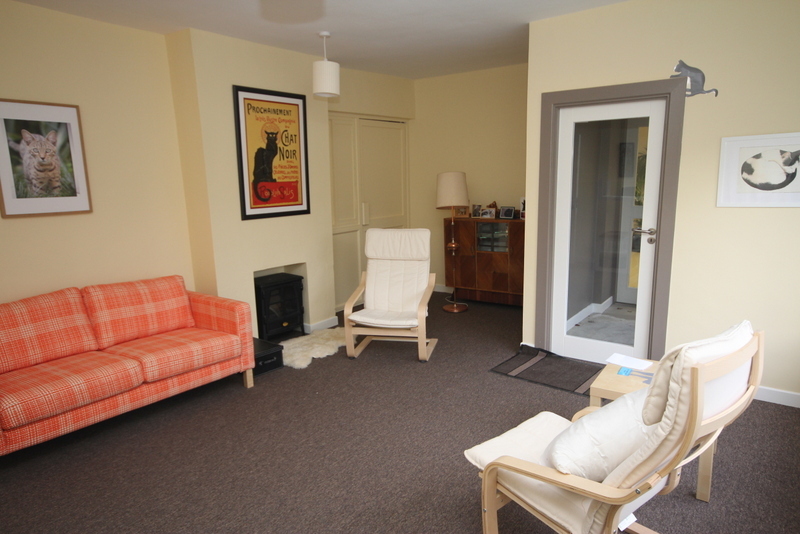 The welcoming surroundings are designed to make all our visitors feel at home, just cats and owners alike. 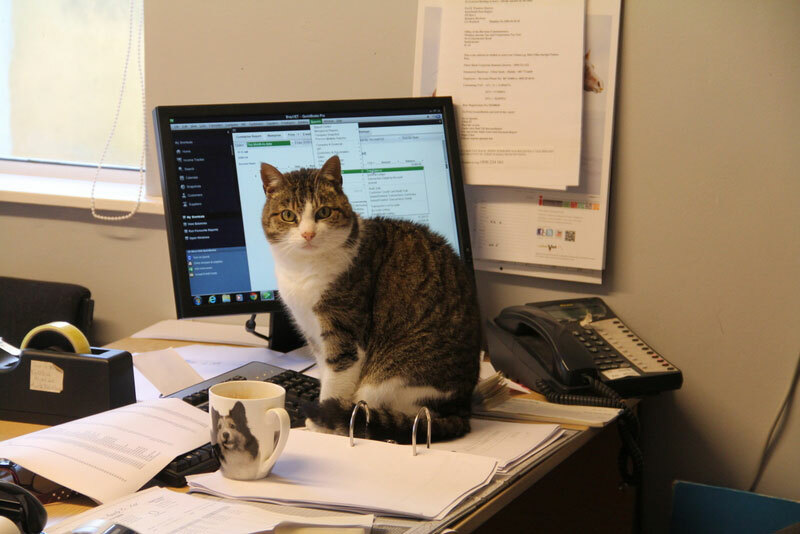 It’s wonderful for us all to see our visitors feel comfortable enough to wander around, with one cat (see below) even feeling happy enough to check her email on our office computer. ” Girlfriend” Bray Vet’s 16 year old clinic cat is looking for a job as our new receptionist.